First we review the major market movers from each day, and then we proceed to what conclusions and lessons we can draw from these in part 2. The big news was that the G20 statement from the weekend avoided any specific condemnation of Japans ongoing Yen devaluation and export market share grab at the expense of its competitors, despite the risks that Japan could set off a mutually destructive race to debase currencies. The G20 silence was seen by all as a green light for Japan to continue with JPY devaluation. That was welcomed news for stocks of Japanese exporters and those that benefit from them. That was the big story for Monday. All indexes higher except for the two main China indexes in Shanghai and Hong Kong, no reason offered in the major financial press, although it may have been due to advanced knowledge by some of the news that would come on Tuesday (see Tuesday notes below). The big news was that Japan had escaped criticism regarding its debasing the yen in order to gain advantage at the expense of other exporters. This was seen as a green light from the G20 to continue, so the JPY fell, and Japanese stocks rose, approaching 4 year highs. Indexes were mixed mostly lower, with France and Germany up a bit, Spain down about 0.5%, the others mostly lower 0.5% or less on lower. No obvious reasons seen, though some blamed poor earnings results from a major brewer as the catalyst. Bearish China tightening hurt Chinese indexes, a rising Yen dented the Nikkei, Bullish German ZEW survey results boosted Europe and, to a lesser extent, US indexes, which also got a boost from hopes for renewed M&A activity. Markets were mixed but Chinese indexes fell hard, down about 1.5% on news of official moves to cool both property (with further measures anticipated) and copper prices. Shanghai saw its biggest drop in 5 weeks. 1. Buyers of Japan bonds start demanding higher yields. Even at current low borrowing costs (about 1% for a 10 year note), debt service consumes well over 25% of Japan’s budget. For perspective, the US pays about 2% on a 10 year note, despite having a much lower debt/GDP ratio and being at least as good a credit risk (granted, that’s no complement). If Japan’s bond yields rose to equivalent levels, just the interest payments alone would consume over half of Japan’s budget. 2. Setting off a mutually destructive currency war if Japan’s export competitor’s (Korea, China, Taiwan, etc) decide they need to devalue their own currencies in order to preserve their export market share. The likely end result is no change anyone’s market share, higher borrowing costs and risks of excessive inflation. All indexes higher, most up over 1%, (Spain, Germany, France up over 1.5%) on good German ZEW survey results. After 3 days of overall pullback Europe was ready for an excuse to bounce and this was it, as markets seem to believe that as long as Germany is healthy all will be ok in the EU. We strongly disagree, as the magnitude of bad debt from the GIIPS is likely to overwhelm Germany’s will and ability to prevent market-shaking losses from those eventual defaults, regardless of how they’re packaged. Merger talk among office supply stores fed optimism for more M&A deals and also lifted retailers (likely targets of these anticipated deals) as the sector struggles as consumer real incomes drop on a combination of stagnant wages, rising real inflation from food and fuel, and now the expiration of the 2011 payroll tax cut. However gains were limited as home builders sold off after a disappointing NAHB report, and health insurers also fell on proposed lower Medicare reimbursement rates. On Wednesday the big market moving event came from the US, via the very surprising FOMC minutes, which hinted that QE 3 might end far earlier than previously though. Asian indexes were all up 0.5% or more on follow through from Tuesday’s market performance in Europe and the US, as China bounced back from Tuesday’s concerns and continued Yen weakness continued to drive the Nikkei higher. However analysts believe further Japanese stock gains could be limited until next week when we’ll know if the next BOJ governor will be seen as willing and able to fulfill hopes for a weaker Yen. European indexes were mixed with overall modestly lower moves on more weak earnings results and some dividend cuts from big names RSA and Lufthansa, which reinforced the uninspiring earnings picture from Carlsberg Brewery earlier in the week. Markets were closed by the time of the FOMC meeting minutes release, so the resulting carnage for Europe was put off until Thursday. All major US indexes were slammed Wednesday as the Fed signaled growing discomfort over QE 3, raising prospects that the ultra accommodative policy of easy money and low rates would begin winding down far sooner than expected, long before unemployment hit’s their stated 6.5% goal. Official inflation figures have remained quiet, so the suspected real concern in the FOMC is the potential shock to markets and volatility (i.e. increase) in interest rates that could come if QE 3’s end is announced suddenly. So Wednesday’s statement was likely a first step to prepare and ease markets down gradually. This was huge. Remember that the assumption of ongoing QE 3 for the foreseeable future is the sole real bullish fundamental that has propped up asset prices to decade highs, far beyond what stagnant fundamentals and EU risks would suggest as reasonable valuations. Change that assumption, and as many were quick to recognize (see here for example), and you remove the one real prop to current market prices. Given that markets are at near decade highs, and thus vulnerable to any negative news, announcing that the one thing holding up risk asset prices may be wrapping up in the coming year could be all it takes to send markets dropping well below the anticipated “normal 10-15% correction.” As this week’s data continued to confirm (see below notes for Thursday and Friday), there is no other (rational) justification for risk assets being anywhere close to decade highs. The US, Europe, and Japan are all in outright recession or close to it, so there goes the market for China and other export based economies. Indeed, the bulls’ best hope is that the Fed backpedals, and says something indicating QE 3 still to be around a while. We’ll know more about the Fed’s intentions next week when Bernanke gives is semi-annual testimony to Congress. If he confirms the tightening message, that could be the market moving event of the coming week. Predictably, Asia and Europe were pressured by Wednesday’s FOMC minutes, as both regions were already closed when that news hit. However risk appetite took a second major hit from a batch of putrid EU data that reminded everyone that the EU is still deteriorating, not recovering. That too is big, because while stimulus or the anticipation of it may be the prime driver of higher asset prices, the other big driver has been the assumption that debt-crisis issues in the EU (and to a lesser extent, the US) are under control. Shake that confidence and markets reverse. Indexes were down about 0.5% overall on follow up from US drop on Fed hints at ending QE3 sooner than expected. China was hit harder, with Hong Kong -1.7%, Shanghai – 3% (biggest single day drop in 14 months), as its stocks have already been hit by China’s own tightening moves this week, as authorities moved to “decisively” curb real estate speculation. As part of that move, the PBOC drained 910 bln yuan from China’s interbank market. Japan was also down extra hard, 1.4%, as its stocks were already extended and given to profit taking on uncertainty ahead of next week’s announcement on the next BoJ governor. The sudden strong shift to an overall risk-off mood had predictable effects on currency markets, sending the JPY higher and thus adding to the Nikkei’s drop. Perhaps adding to the Japan slide was Wednesday’s record trade deficit figure of ¥1.63T ($17.4B) for January, (aided by rising import costs) and Finance Minister Aso’s saying that if his country’s “huge trade deficit” continued, it would be “a big problem.” What was he expecting from a combination of debased Yen and rising energy imports? A weak currency is a distinctly mixed blessing unless imports are a small fraction of exports. Instead, Japan is increasingly becoming more of an importer. –The French PMI Services report hit 42.7 versus 44.5 forecasted. French PMI Manufacturing improved to 43.6 from 42.9 but still fell short of 43.9 forecast. –German manufacturing PMI was 50.1 versus 50.4 expected, while the PMI Services fell to 54.1 versus 55.5 expected. –The EZ flash PMI was 47.8 versus 48.4 projected while services fell to 47.3 from 49.2 forecasted. In sum, both Manufacturing and Service sectors continue to struggle well below the 50 boom/bust line, meaning that EZ GDP will continue contracting in Q1 of 2013. Some analysts don’t see positive EZ growth until Q3 of 2013. Thursday’s data refuted market expectations that the region would see growth as soon as Q1 of this year, showing that it is still contracting. EU officials have been saying that the EU crisis is over, however continued recession undermines confidence in the ongoing austerity approach and risks rising political opposition to both austerity and the EU. Uncertainty ahead of the weekend’s Italian elections, which risk scaring markets, sinking its stocks, and raising Italy’s borrowing costs. The OMT program provides a theoretical backstop, as long as a nation is willing to accept conditions to insure accountability and a variety of politically unpopular budget cuts. Those conditions insure that no one takes OMT aid unless it’s already desperate. We’re not sure why Italy or Spain should be too worried about accepting OMT conditions, because if the EU hasn’t held Greece accountable to its commitments due to fear that it will default and start a crisis, why should Italy of Spain worry about actually having to live up to such agreements? As a side note Enrico Cucchiani, the CEO of banking company Intesa Sanpaolo, warned that 20% of Italian companies could fail during this recession. Indexes were down solidly on a follow up reaction from Europe, but not down as hard as in Asia and Europe, as a combination of dovish Fed member comments and poor Philly Fed data eased concerns about the Fed tightening soon. Bargain hunting reveal how stock markets remain bullish, with buyers stepping up on minor excuses on even minor pullbacks. NB: Currency markets have not shared the optimism of stock investors. Overall, they’re showing a bearish divergence from stocks, as risk currencies have lost ground or been flat in recent weeks versus the USD, while stocks have moved higher. That relative drop for risk currencies versus the USD is potentially significant because for now the USD remains the least aggressively debased among the top safe haven currencies (JPY, USD, and CHF). Therefore its performance versus higher risk currencies is for now the best barometer of greater pessimism in currency markets. That divergence is particularly strong between buoyant European stocks and the plunging Euro, which, as a risk currency, generally moves in the same direction as stocks. Those needing some clarification risk versus safety currencies, and why the distinction is so important, can review page 19 (and others) of my book at no charge using the “Look Inside” feature on its amazon.com page here. Asian indexes were mostly modestly higher, Japan up solidly 0.68%, on bargain hunting that shows markets are still fundamentally bullish, with buyers coming in on minor dips. China continued lower due to the ongoing concerns about official tightening. What a difference a day makes. Italian elections? Nessun problema. Ongoing deterioration and contraction? Forgotten. All indexes were up strongly between 1-2%, with France and Spain both up about 2%, as a strong German Ifo sentiment survey read provided an excuse to buy on the dip after yesterday’s drop and to ignore yesterday’s clear indication of continued contraction in the EU. Here too, we see a willingness to buy on even minor dips that suggests continued overall bullishness. Even though the EU announced that it had slashed growth estimates for the region from +0.1% to -0.3%, markets shrugged off the news. Following Europe, all three major US indexes closed nearly 1% higher for a partial rebound from their two day pullback, as bargain hunters stepped in with little regard for Thursday’s EU data or Wednesdays’ FOMC remarks. I’ve been saying for a long time that everyone needs to know about currency markets, and that my recently published book, The Sensible Guide To Forex, was the best guide out there for both aspiring traders, or passive investors who just want some diversification out of the USD, JPY, EUR or other currency under devaluation threat. Now you no longer need take my word for it, as it just won The Best Forex Book for 2013 by both popular vote and expert panel selection by forex professionals. See here for details. We can’t stop the central banks from devaluing the USD, EUR, JPY, and others, but we don’t have to accept their watered down fare either. We can move into assets that are in currencies run by responsible adults. So what are the key conclusions and lessons for the coming week? Please proceed to Part 2. 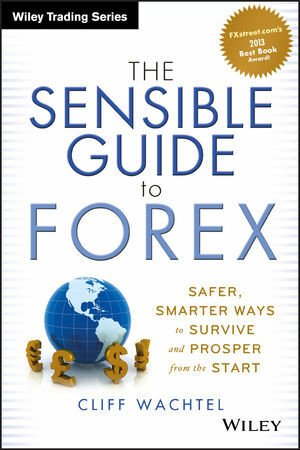 ← The Sensible Guide To Forex Wins FXstreet.Com’s 2013 Best Book Award!